YANGON: A Myanmar court sentenced a foreign filming crew and their local colleagues to two months in prison Friday for flying a drone over Parliament, their lawyer said. 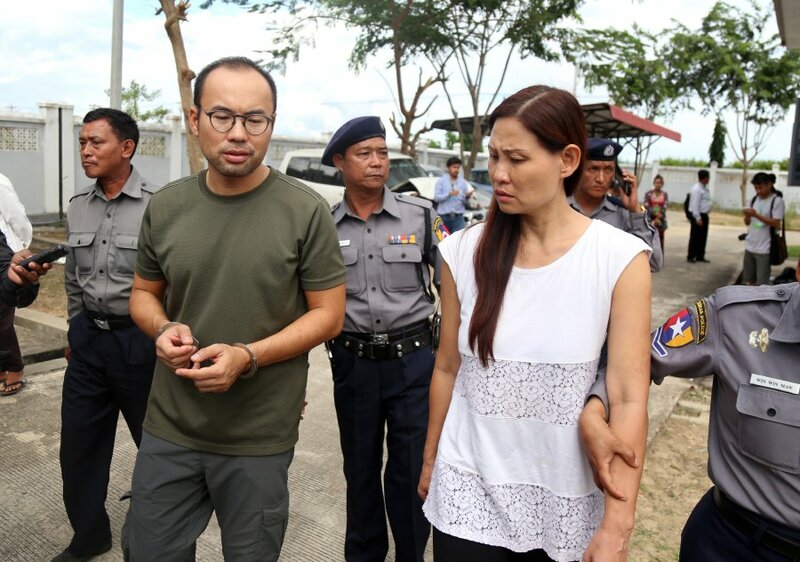 Malaysian Mok Choy Lin, Singaporean Lau Hon Meng, Myanmar journalist Aung Naing Soe and driver Hla Tin were arrested last month when shooting a documentary in the capital Naypyidaw. The team was working for Turkish state broadcaster TRT, who said the crew wanted to film the Parliament building after an interview with an MP. "They were surprised when they heard their sentence," the group's lawyer Khin Maung Zaw told AFP after their one-day trial in the capital. He said the defendants had confessed to flying the drone but were only expecting a fine. The group faces up to three more years in jail for the import of "restricted or banned" goods without a proper license, their lawyer added, with a trial expected to take place on Nov 16. TRT claims the reporters informed Myanmar's Ministry of Information about their filming plans in advance. In a statement after the arrests the Turkish broadcaster also said police had raided local reporter Aung Naing Soe's home and confiscated his computer and hard drive. The incident comes amid tensions between Turkey and the Southeast Asian nation over Myanmar's treatment of the persecuted Rohingya Muslim minority, who have fled the country in droves after an army crackdown in Rakhine state. President Recep Tayyip Erdogan has accused Myanmar of incubating "Buddhist terror" and carrying out a genocide against the Muslim group. The verdict is also the latest sign of withering press freedoms which had started to blossom in Myanmar after the end of junta rule in 2011.